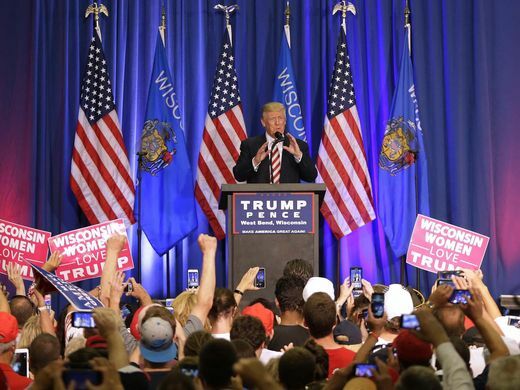 By W. Gardner Selby on Monday, August 22nd, 2016 at 6:23 p.m.
With Republican presidential nominee Donald Trump alighting in Austin, it’s worth remembering that dozens of Trump claims have been fact-checked by PolitiFact reporters. See Trump’s full PolitiFact report card here. Gander at Democratic nominee Hillary Clinton’s fact-check history here. --Democrat Hillary Clinton’s claim, rated Mostly True, that Trump has declared bankruptcy four times. --Trump’s declaration, rated Pants on Fire, that Clinton says she wants to raise taxes on the middle class. --Trump’s 2015 claim, also found Pants on Fire, that blacks killed 81 percent of white homicide victims. Another reader favorite: PolitiFact’s notation of 17 times that Trump said something, later denying he said it. In Texas on Tuesday, Trump was poised to attend fundraisers and throw an evening rally in Austin. Also, he appeared with Sean Hannity of Fox News, whose Truth-O-Meter record appears here. Have a comment? Head to the PolitiFact Texas Facebook page. We’re also on Twitter.